Propaganda and opinion have vastly damaged and demonised the reputation of the cannabis plant. Untruths have robbed marijuana of its true status as an intellectual fuel, a herb that has stimulated some of the greatest minds in history. Instead many now falsely believe the rhetoric stating that weed makes people dumb, lazy and stupid. 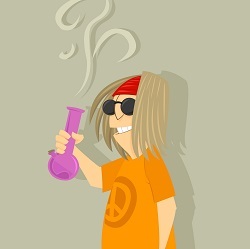 We are all well acquainted with the archetype of the "lazy stoner". This stereotype is presented to us through several mediums such as Hollywood films, television programmes and anti-drug campaigns that crusade around school districts, installing the idea in the minds of the youth that cannabis consumption will be the equivalent of flushing their potential down the drain. This character is usually portrayed as a red-eyed, slow speaking, ragingly hungry, bumbling buffoon. He has no job, very little life prospects and is content with mediocrity as long as he has near constant access to the dankest of the dank. Okay, so this stereotype may contribute to humorous films and entertaining internet memes. But it must be questioned nonetheless. Is there truth to this categorisation? Or has it been engineered as an image to assist the propaganda campaign that is the war on drugs? Contrary to the image laid out above that has penetrated the collective mind of popular culture, there is sufficient evidence that marijuana use can contribute and augment intellectual thinking and pursuits. Unlike today, weed was revered in the 19th century as a multifaceted medicine and industrial mammoth. Yet its uses did not cease there. It was also recognised as a thought-kindling tool by some powerful minds of that era. The well established and famed French poet, writer and intellectual Charles Baudelaire revered the use of marijuana in his craft to the degree that he was a part of the Club de Hachichins (Hashish Club), which hosted meeting between 1844 and 1849. Baudelaire elegantly wrote: "People completely unsuited for word-play will improvise an endless string of puns and wholly improbable idea relationships fit to outdo the ablest masters of this preposterous craft. Every difficult question ... becomes clear and transparent. Every contradiction is reconciled. Man has surpassed the gods." Now, that is appreciation. These words surpass the mere bias of Baudelaire's indulgence however. 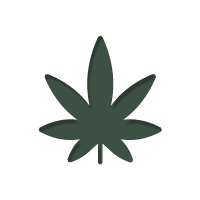 Modern research has associated cannabis use with a phenomena called hyper-priming in users. Priming is an effect studied in the field of psychology that makes several related concepts easier to associate and access. Hyper-priming is this effect happening to a greater degree. This is probably the reason why weed can help as a stimulant in intellectual and creative thinking, allowing writers, artists and innovators to join unrelated concepts that may never have connected in their more sober and thus linear mind states. Dr. Lester Grinspoon, a psychiatrist and retired professor at the Harvard Medical School is an example of a more modern intellectual powerhouse who holds high regard for marijuana as a prime thinking tool. In his book "Marijuana Reconsidered", he defies stereotypes on all levels by stating: "I no longer doubt that marijuana can be an intellectual stimulant. It can help the user to penetrate conceptual boundaries, promote fluidity of associations, and enhance insight and creativity." Another intellectual giant whose work appears in this book is Carl Sagan, well known for his work in science and communication. Some of Sagan's words include: "The cannabis experience has greatly improved my appreciation for art, a subject which I had never much appreciated before." And: "The understanding of the intent of the artist which I can achieve when high sometimes carries over to when I'm down. This is one of many human frontiers which cannabis has helped me traverse." In more political and revolutionary terms, Sagan penned: "The illegality of cannabis is outrageous, an impediment to full utilisation of a drug which helps produce the serenity and insight, sensitivity and fellowship so desperately needed in this increasingly mad and dangerous world." We are all quite aware of some of the desperately futile attempts of propaganda campaigns launched to hijack reason and logic and paint a heavily biased and scientifically unsound picture of drugs in the minds of the public. One of these is the famous video of an egg being cracked and emptied into a frying pan. The oxidised and frazzling mess is then compared to what happens to a person's brain when they ingest drugs. Not only is this dangerously inaccurate, but it is a case of opinion being peddled as fact. Statistically, a massive amount of Americans use marijuana at some point in their life time. Many of which start at a young age and continue to successfully function as members of society with successful careers, brains intact. 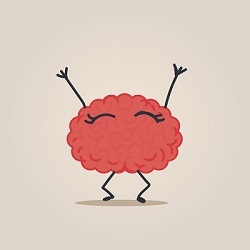 A study conducted on twin siblings who either used or abstained from marijuana found that cannabis use has absolutely no measurable effect on IQ. The myth of the "lazy stoner" is actually more of a fallacy born out of a smear campaign that it is factually accurate. This outrageous departure from truth emerged from the all-father of the war on drugs, President Richard Nixon. He expressed, "America's public enemy number one in the United States is drug abuse. In order to fight and defeat this enemy, it is necessary to wage a new, all-out offense." It has since been revealed that the Nixon administration had two main public opponents, who they needed a new method to target. These subcultures were "blacks" and "hippies". Marijuana use was a huge part of these communities and its classification as a dangerous drug was the perfect ruse to start incarcerating and controlling these minorities. It is fundamental to realise that a large part of our culture's thinking may indeed be derived from manipulation instead of solid fact. Modern science is now disproving this age-old, baseless rhetoric and shining a light on the truth of the matter. Cannabis is a medicine, an intellectual tool and a fuel that feeds the creative and compassionate flame within all of us.